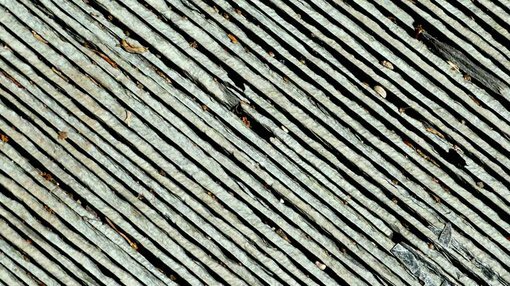 Peninsula Mines (ASX: PSM) has released further high-grade channel sampling intersections from five trenches sampled at the Yongwon graphite project in South Korea. PSM is gaining a valuable understanding of mining in South Korea as it progresses a number of projects, also in the lithium, precious metals and base metals areas. The latest results feature extensions to the original Trench one and Trench five data as highlighted below. The high grade graphitic unit at Yongwon had been sampled across the exposed portion of the unit in five previous Korean Resources Corporation (KORES) trenches along a 120 metre strike length at surface. Importantly, PSM noted that electromagnetic surveys indicated a strike length of more than 400 metres and down dip extensions of between 200 metres and 300 metres. The average channel intersection width of 9.1 metres converts to an approximate true width of 6.4 metres and a high weighted average grade of 10.1% total graphitic carbon (TGC). Further examination of the broader area indicated that potentially low stripping ratios could be applied if the deposit was developed as an open pit/quarry. Previous metallurgical testing produced high purity concentrate results, averaging 97% TGC and 87.3% graphite recovery. PSM now plans to progress metallurgical testing to determine spherical graphite production potential with a view to selling into the lithium ion battery market. Management expects this will assist in ongoing discussions with potential offtake partners in South Korea, home to many of the large battery manufacturers and producers of end products that require power storage devices. However, PSM represents an early stage play and therefore investors should seek professional financial advice if considering this stock for their portfolio. PSM is undertaking advanced metallurgical test work in relation to the company’s second key flake graphite project in South Korea. Preliminary flotation testing of samples from the Daewon Graphite Project has been encouraging, and nine new metallurgical samples totalling more than 50 kilograms have been collected for detailed metallurgical testing. The combined weighted average analysis grade was 9% TGC. PSM said that a process of multiple stages of low-impact grinding and flotation, along similar lines to the successful Yongwon process would be undertaken in order to optimise concentrate grade, targeting in excess of 95% TGC. Should the results prove encouraging, the program will be fast tracked to include mapping, channel sampling and electromagnetic geophysics to define drilling targets as the project benefits from being situated alongside an operating limestone quarry. From a broader perspective the company’s aim is to establish a critical mass of flake-graphite resource potential for downstream processing in Korea, the world’s leading market for lithium ion battery production. Achieving this goal will position the company ideally in terms of attracting offtake and investment partners.